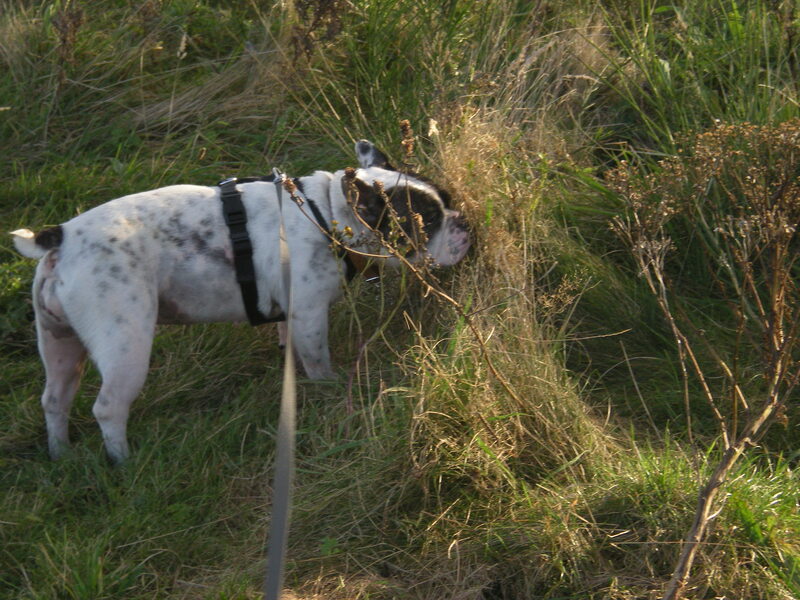 Just waiting for Leela to turn up… I wonder how they’ll get on?? 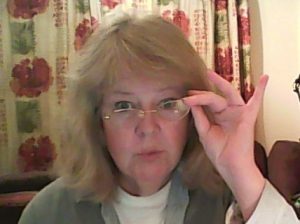 Joining me in her walking boots today, and all the way from Scotland is multi-genre writer EJ Lamprey who writes cosy whodunit mysteries as well as sci-fi (yes, that took me by surprise as well!) under another name, but more on that later. What can I tell you about my guest that she isn’t just about to tell you herself other than that she is an excellent writer (her modesty won’t let her tell you that!) is very entertaining, both in her books and on her lively blog where amongst many thought-provoking posts she has been selflessly carrying out extensive research into the dating market, second time around, and all for our benefit. British colonials always refer to the UK as home: I returned home in 2000, fell deeply in love with Scotland, and have lived here ever since. I was recently re-sorting my blogs and astonished to find how dull I felt two years ago: I am now enjoying every minute of my Indian summer, and my books are increasingly reflecting that. Society assures us that getting older is to be dreaded, to be ignored as long as possible, that fifty is the beginning of the end of days. Sit back, hen, and wait for the grandchildren. Well, I certainly do hope at some point for grandchildren (no pressure, darling) but my current mission in life is to overset that dreary perception. To be no longer young, not yet old, deserves a name all its own, a more exciting one than ‘late middle age’, because it is a wonderful, fulfilling, creative and exciting time. Who knew? Carpe diem! Hi Elizabeth, I hope you’ve had a good trip down from Scotland and I see you’ve brought a friend. 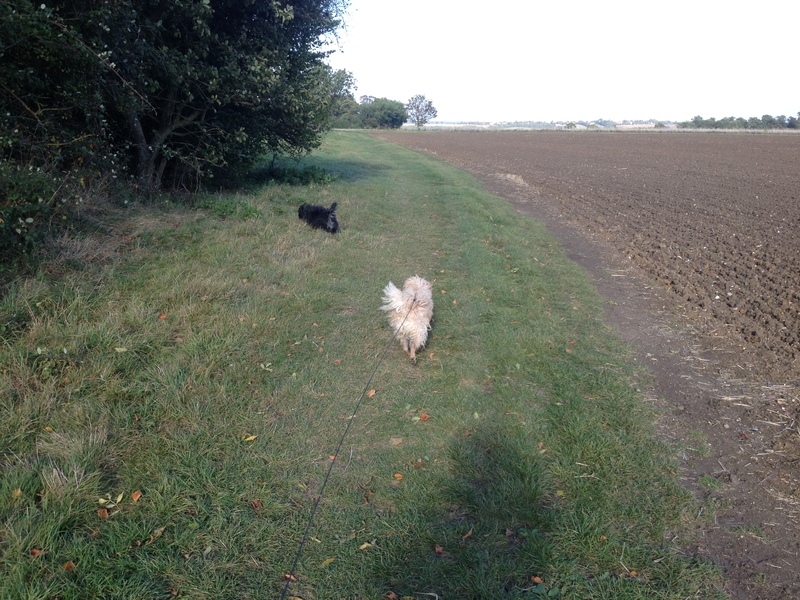 Are you ready for an easy hike across the much flatter fields of sunny Cambridgeshire? Looking forward to it, and Leela is champing at the bit! She’s the world’s worst passenger and has barked at every car, every truck and every motorbike spotted en route. You may have to shout. My ears are still ringing. Now that you’ve got my undivided attention Elizabeth this is your chance to tell me all about your latest release, which I believe is sci-fi, encourage everyone to buy it and then to move it up their to-be-read lists? 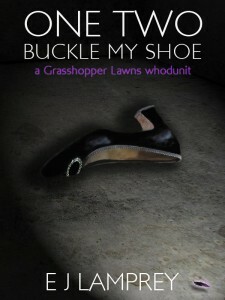 Oh dear, I’m rubbish at describing my books, and this one doesn’t fit easily into a category. It’s called No Place Like Place, I have a soft spot for future worlds which have retro core values, and Place is a newly -colonized but unfashionable planet with an abundance of coal and very little futuristic technology. There’s tons of steam, but my editor said sternly that without Victoriana and clockwork it isn’t steampunk, which would have been a very handy category! One of my beta readers said it was more a space Western. That’s probably closer. I do default to writing about small communities, all their interaction and squabbling and politics, and this also has some fun flora and fauna. 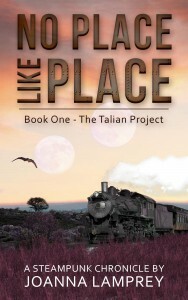 The Place series is being published in three separate stories, to eventually be printed as a single paperback, this first one is a novella called The Talian Project. The main characters are a young man, Brad, who has fallen for a new colonist, Abby, and introducing her to Place introduces readers to this rather nice little world. There are aliens (the Talians) who are observers rather than players, and a cast of off-beat characters. It was huge fun to write: I love writing the whodunits but they have to be very tightly structured, Place was a chance to stretch my imagination and play a bit. I took a chance publishing as Joanna Lamprey, instead of EJ Lamprey, and while I don’t conceal the link, the books are very different types. 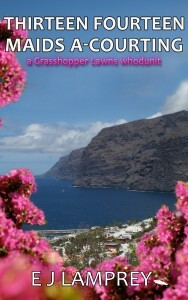 I have started on your cosy mystery series Elizabeth and very much like the setting of Grasshopper Lawns. You are already up to an amazing 7 books in this series do you have plans for more and how do you find your inspiration to keep coming up with new storylines? Thanks, Georgia! In retrospect I’m slightly sorry I set the series in a retirement village, because for so many people that equates to old-age home and they persist in seeing the characters in their seventies and older. On the bright side, my lovely readers are getting their ideas about life for those in their fifties and sixties nicely realigned. The Lawns lot are more Rosemary & Thyme, or Murder She Wrote, than the wonderful octogenarian Miss Marple, and that’s slowly getting across. I know you’re an indie author Elizabeth, and we all need help at various stages of writing and I’d like to know more about the team you have behind you. Who is helping you pull each indie book together until it’s ready to be published? I have the best and most patient alpha and beta readers in the world! My two alpha readers, Barbara in South Africa and Andy in the States, get first kick at each book, and have completely different points of view, both vital. After their input has been filtered into the book, it goes out to beta readers in Scotland, England, Canada, and the States. I treasure my regulars, but also recruit two new readers for each book to be sure it stands alone and won’t completely puzzle anyone reading the series out of sequence. I’m pretty passionate about the role beta readers play in the indie author’s life, to the point I put out a beta reader handbook on the subject. There are excellent specialist books on all the subjects I cover, but this is deliberately cheap as chips and a general editing checklist as well. Put it this way, I wish I had known back then what I have learned since. So many books waste their chance to make an impression because of really basic errors which annoy readers instantly. 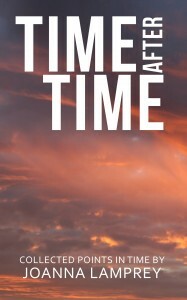 When my beta readers have had their say and I’ve made any essential changes, the book goes along to Steff at http://edit-my-book.com/ . She read English at Oxford but did her Masters at Stirling Uni, so has that vital Scottish experience, along with years of editing for one of the major publishers, and she’s very good indeed. My covers from the first book have been done by Lacey O’Connor in Ireland, http://www.laceyoconnor.com/ she’s a near-psychic when it comes to turning my vague rambling briefing into what I wanted. If you could choose to be any character out of any book, who would you choose? And why? Kinsey Millhone from the Sue Grafton alphabet series. She gets injured every now and then but on the whole I like her life! There are sunrises? I’m a bit of a night owl! Overall, Beatles. Rolling Stones had better early stuff but . . .
What piece of advice would you like to give your 16 year old self – if you were given the opportunity to use a time machine!? Here’s a list of stocks and shares I want you to buy. Oh, and in about five years a too-good-looking guy called Bob will ask you out. Say no! No other changes, we are the sum of our experiences. A Karoo lamb-on-the-spit braai in South Africa with all my scattered friends magically brought back together for the day. I’d love that. It’s been a pleasure Georgia… now where did Leela get to?? My review for One Two Buckle My Shoe can be read here. All of EJ Lamprey’s books are listed out on her Author Page here. All of Joanna Lamprey’s books are listed out on her Author Page here. Wow! Thanks for the fabulous intro to your guest! I can’t wait to start reading both of her genres. This was a great interview. I especially enjoyed Elizabeth’s answer to your question, “What piece of advice would you like to give your 16 year old self.” When she commented about Bob, I nearly fell off my chair laughing. Best wishes to Elizabeth on her continuing writing career. Thanks Michelle, so pleased you enjoyed it 🙂 I love asking that question and Elizabeth’s answer was brilliant – how many of us would warn our younger selves about people we are about to meet?